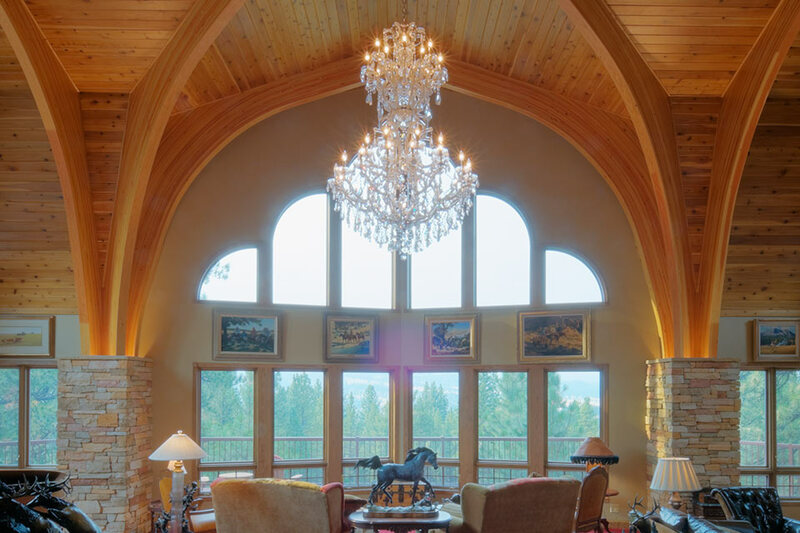 Private Residence II - Diamond Construction, Inc. 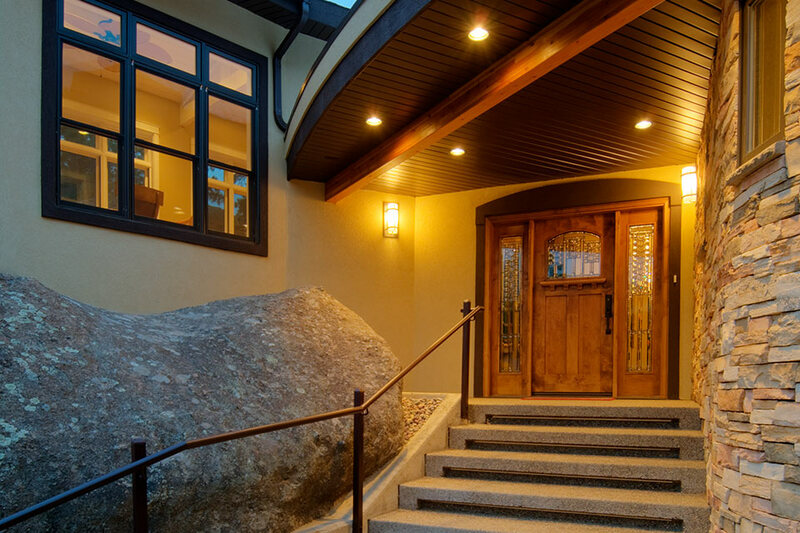 This custom home is located on a terrain of ponderosa pine and large granite boulders. 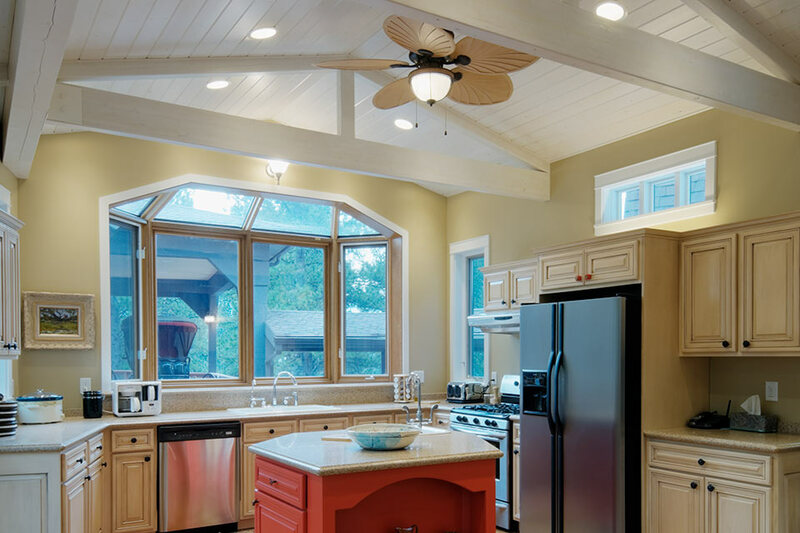 Three remodels to the existing home were completed by our team. 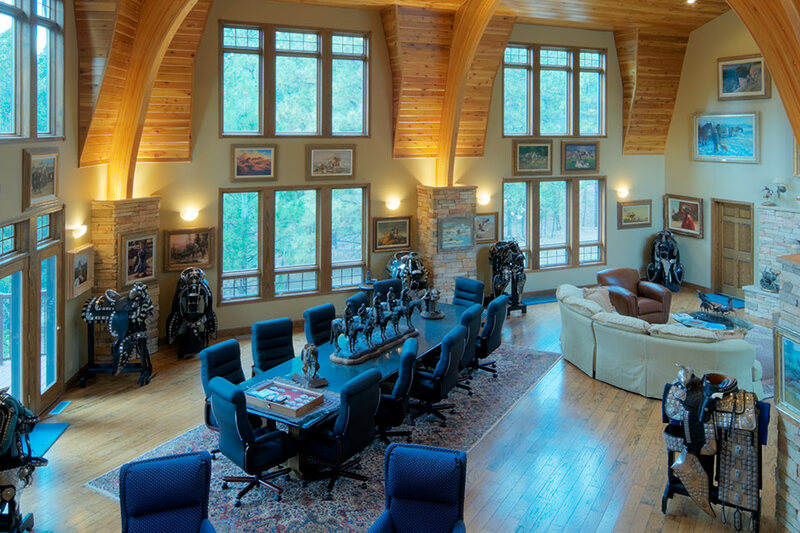 In the first phase of construction, a great room addition was added to the south side of the home creating a wide open space with large windows looking out to the south. 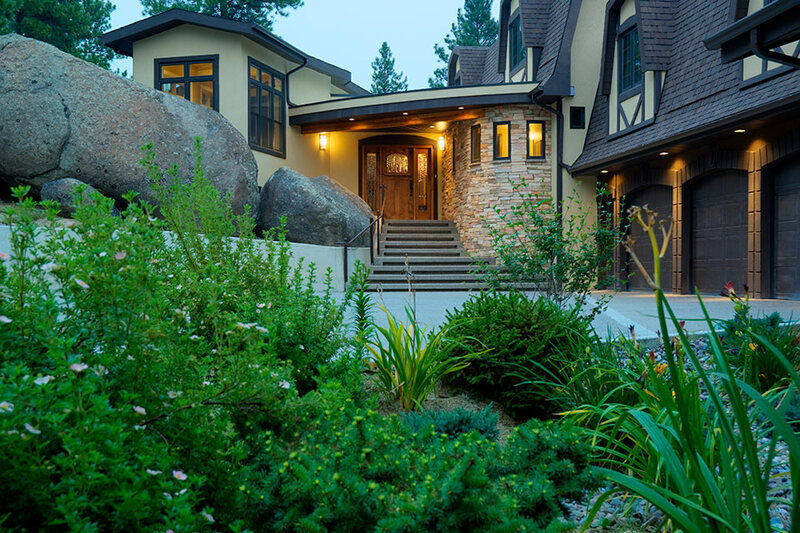 Concrete piers were drilled into the existing granite boulders in some locations and in others concrete piers were formed and placed for the foundation of the great room. A new porch wraps around the exterior connecting two porch areas. 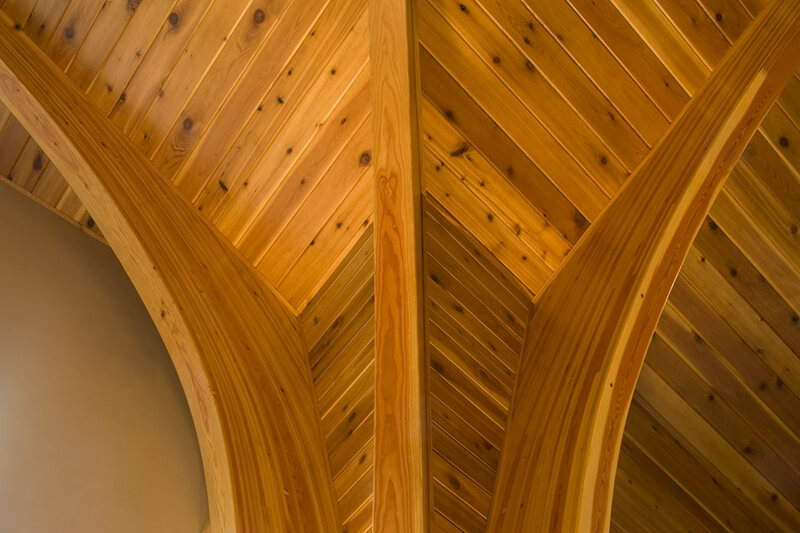 Inside, the space is structurally supported with architectural glulam beams by Timberweld. All wood is exposed and a tongue and groove wood ceiling finishes off the space. An oversized wood burning fireplace was installed on the west side of the room. 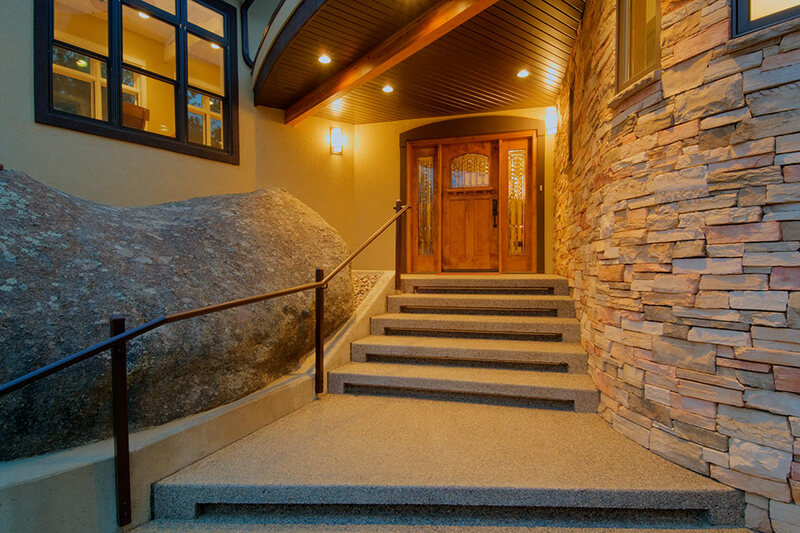 Finishes were to match the existing finishes of the home. 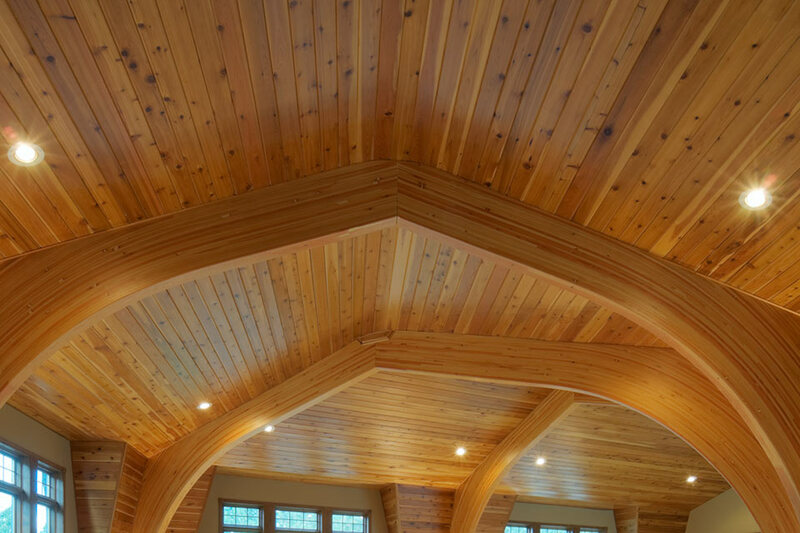 Phase II was an addition of an office, very similar in construction to that of the great room, with timberweld glulam beams, tongue and groove ceilings, EIFS and stone exterior and Pella Windows to match the balance of the home. This phase of construction caused the existing septic to be relocated, while tying the west portion of the home to the multiple car garage area. Phase III construction involved remodel of the existing kitchen area, expansion of this area and modifications to bathrooms. 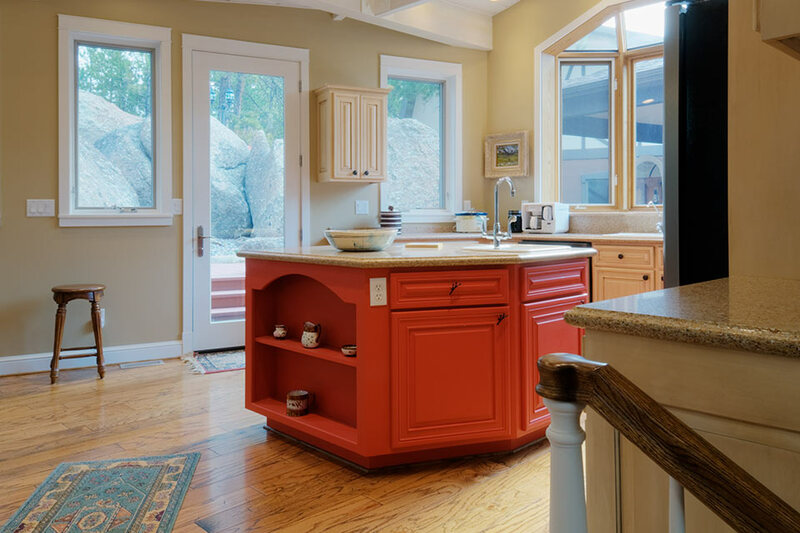 This area was upgraded with solid surface counters and a new layout for all kitchen cabinetry and included a new entryway to the home.